It's Finally Here! Knock 5 to 10 Years Off and Achieve Better, Healthier, More Youthful Looking Skin without Invasive Surgery! Our Beautify RF PRP Non-Surgical Facelift is One of the Best Non-Surgical Ways to Super-Rejuvenate Your Skin by Harnessing Your Body's Own Regenerative Natural Growth Factors! 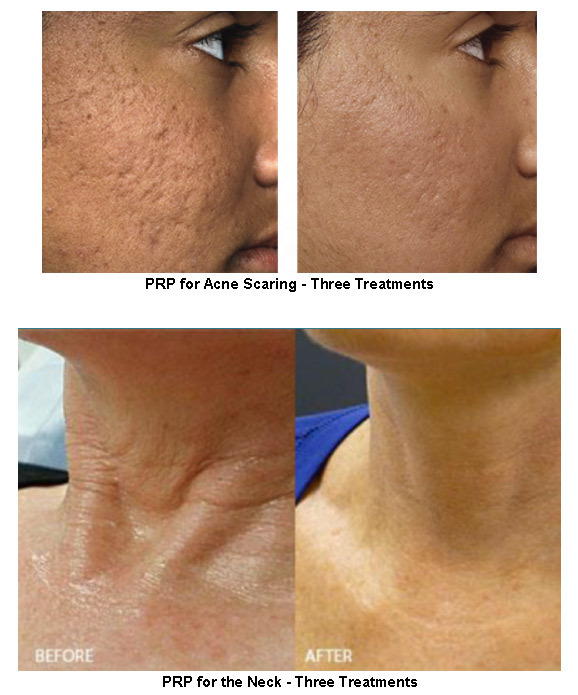 Beautify Spa is the first Spa in Arizona to offer RF PRP! A 'Radio-Frequency Plasma Rich Platelet' treatment is the same as a regular PRP Microneedling treatment, however, it adds Radio-Frequency delivered down 3mm to 4 mm, which is the exact target area that stimulates the production of Collagen. We lose 1% of our Collagen starting at age 25, so by age 50, you have lost about 25% of the Collagen in your skin/face. The good news is; you can regenerate Collagen! The RF PRP is one of the finest treatments available to grow Collagen and provide overall skin rejuvenation! There is little to no down-time and you can resume most activities beginning immediately! Beautify Spa has performed in excess of 15,000 MicroNeedle treatments. Our extensive experience gives you the best results! 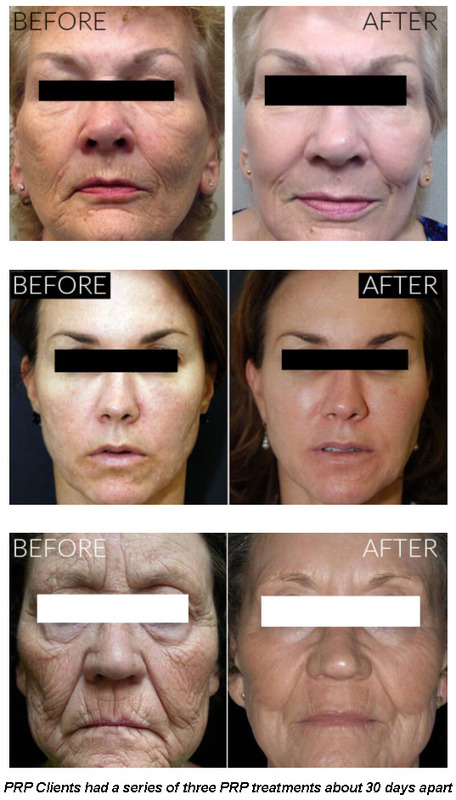 What is a RF PRP Non-Surgical Facelift? The RF PRP Non-Surgical Facelift is an innovative procedure that combines a MicroNeedling Treatment with Your Body's own Natural Growth Factors, called Platelet-Rich Plasma (RF PRP). RF PRP, the key ingredient of the RF PRP Facelift is derived from the patient's own blood. This may sound intrusive and even a bit scary, but trust us, it's not. The process begins with a normal blood draw. RF PRP growth factors are separated from whole bloods using a centrifuge. While platelets are the primary component of RF PRP, preparations may also contain other cellular components such as white blood cells (WBCs) and peripheral stem cells. These components all play a biological role in the healing process and improve overall results! Platelet-rich plasma is commonly used in the medical field for its ability to heal wounds and injuries. 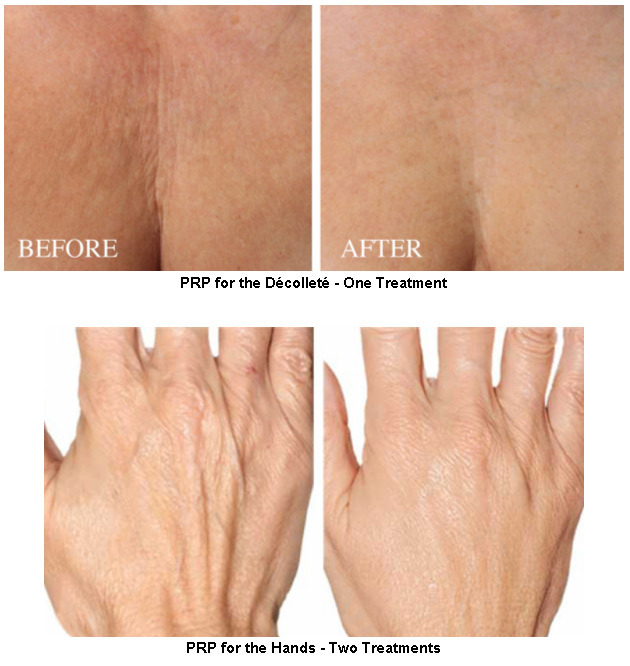 RF PRP also stimulates the body's natural collagen production and tissue regeneration. This makes RF PRP an ideal natural serum to rejuvenate facial volume and skin quality by stimulating collagen production and regenerating tissue. The overall effect leaves your face looking healthy and beautiful. It's been called Non-Surgical Facelift! Knocks 5 to 10 Years Off! Beautify Spa has Performed Over 15,000 MicroNeedle Treatments. More MicroNeedle Treatments than any Other Provider in Arizona. for Your RF PRP Non-Surgical Facelift Treatments! RF PRP naturally promotes your own collagen growth, regenerates tissue, and thus acts as to naturally smooth and tighten the skin. RF PRP softens wrinkles, creating smoother skin texture and tone. Our blood consists of a liquid component known as plasma. It also consists of three main solid components which include the red blood cells (RBCs), white blood cells (WBCs), and platelets. Platelets play an important role in forming blood clots. They also consist of special proteins, known as growth factors, which help with our body's healing process. Platelet-Rich Plasma or RF PRP is a high concentration of platelets and plasma. A normal blood specimen contains only 6% platelets, while platelet-rich plasma contains 94% of platelets and 5 to 10 times the concentration of growth factors found in normal blood, thus provide greater results. A RF PRP treatment first involves a simple blood draw of about 20cc. The centrifuge processor then separates the plasma and platelets in just a few minutes. During this time period, we prep the skin. Next, the RF PRP is spread into the micro-channel targeted tissue areas. Because RF PRP is extracted from your own blood, it alleviates the risk of allergic reaction, skin irritation, or rejection. Hundreds of thousands of RF PRP procedures have been administered to various parts of patients' bodies and have resulted in no side effects or complications. The human body has an incredible ability to self-heal. The natural production of stem cells is what regenerates new tissue. Rich in bioactive proteins and growth factors, RF PRP stimulates stem cells to repair and create new, youthful skin. It's like rewinding the clock-regenerative medicine at its best! 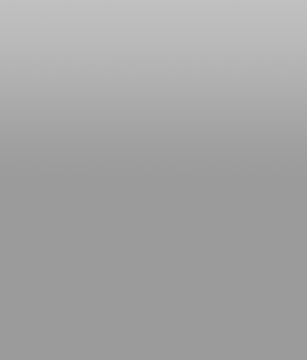 Non-Invasively! RF PRP is the Ideal Natural Serum to Rejuvenate Facial Volume and Skin Quality by Stimulating Collagen Production and Regenerating Tissue. Treatment time takes approximately 60 Minutes. After the treatment, your skin will be slightly pink and feel slightly sunburned. Your skin will be more red if you have sensitive skin. We provide you with a complimentary After-Care Kit to speed up the healing process. For most people, your skin will completely recover in 24 to 72 hours. You can wear makeup after 72 hours. Your body's collagen production takes three days to three weeks to start to see improvements. For best results; we highly recommend a three RF PRP treatments about 30 days apart. Results last six months to a year for one treatment, however, if you do a series of three, results can last one to two years. The good news is; you can simply do another RF PRP Treatment to help maintain results! 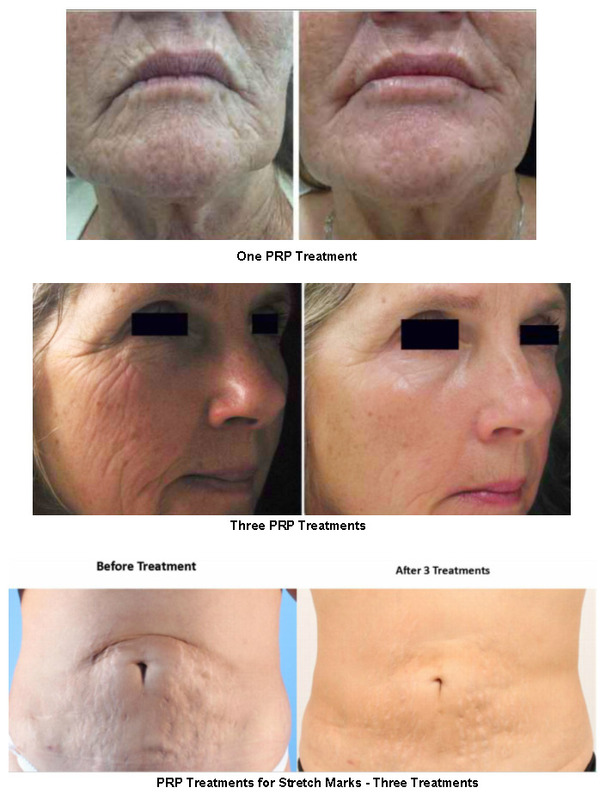 Turn Back Time with a RF PRP Non-Surgical FaceLift!